Fresh flowers bring a room to life with beauty and fragrance. Style-savvy clients turn to HEARTS & FLOWERS OF CORAL SPRINGS for memorable events that deliver elegance, splendor and style. Our shop specializes in creating floral designs for large and small venues, hotel ballrooms, corporate events, weddings, receptions, parties and other social gatherings. The fragrant and splendid blooms you hold on your wedding day will be remembered all your life. 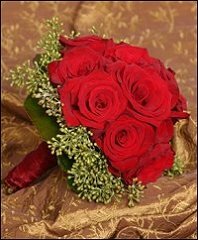 The ideal handful of flowers will commemorate tradition, relay significance, and enrich your memories; a bouquet is a token of honor. 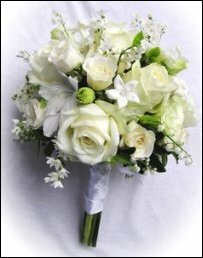 The bridal bouquet is one of the most important elements of the bride’s attire and deserves special attention. 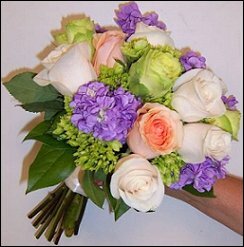 There are many colors, scents, sizes, shapes and styles of bouquets to choose from. Popular styles are the cascade, clutched, contemporary and hand-tied garden bouquets. We will arrange the most exquisite blossoms to perfectly complement your personal style, your gowns, the season, and the color palette of your wedding day. From classic to contemporary design, pastel to vibrant color, and simple to elaborate floral combinations, a bridal bouquet from HEARTS & FLOWERS OF CORAL SPRINGS is your first essential accessory. Make a list of the members of the wedding party and the other people who will be participating in the wedding. Besides the bride and groom, this list should include: the maid of honor and other bridesmaids, the best man, the groomsmen and ushers, the flower girl and the ring bearer. Along with parents, grandparents, etc., these are all people for whom bouquets, corsages or boutonnieres are traditionally provided. In planning the decorations for the wedding ceremony location, consider all the areas that may be enhanced with flowers and foliage. 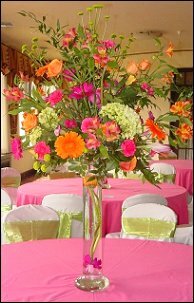 Your Reception Flowers and On-site Floral Decor Custom-Designed by HEARTS & FLOWERS OF CORAL SPRINGS... Fresh flowers can enhance any celebration, from simple single stems to elaborate pedestal ensembles. Choose from Wedding Centerpiece Groupings for the Head Table, Buffet Table, Guest Tables, etc. Flower Arrangements for the Cake Table, Cake Tops, Clusters, Floral & Foliage Garlands for Archways, Door Wreaths, Topiaries, Candelabras, Chair Markers & Decor, Flowers for the Gift Table, Bride & Groom Getaway Vehicle and more. We would love to use our creativity, talent and experience to bring your special day to life. Call HEARTS & FLOWERS OF CORAL SPRINGS in advance at 954-346-6112 to schedule your wedding or special event consultation. Our shop is conveniently located at 11471 West Sample Road #23 in Coral Springs, FL and is open Monday through Friday 8:30 am to 5:30 pm and Saturday 9:30 am to 3:00 pm.